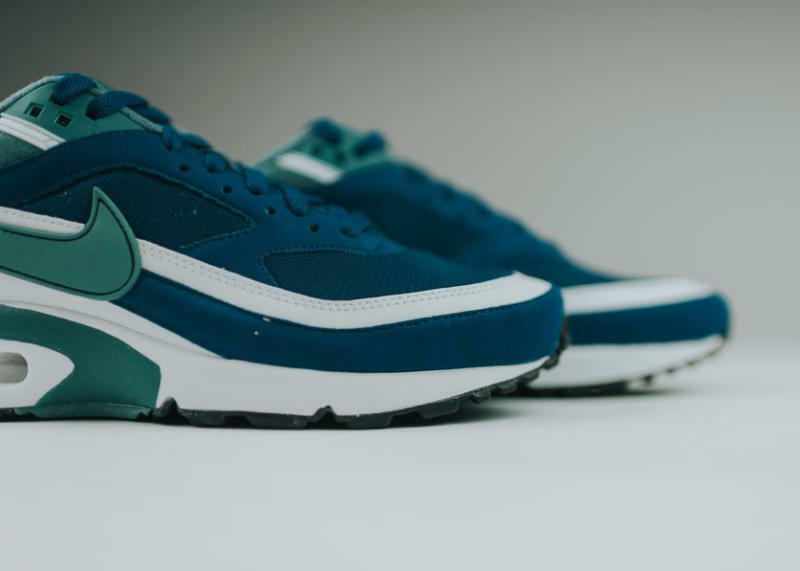 This jade colorway just arrived at sneaker stores. 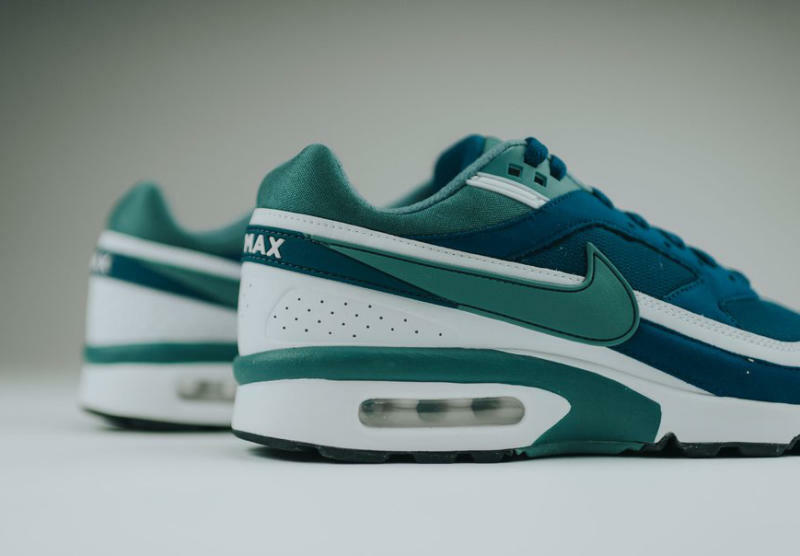 This year has been a big one for fans of the Nike Air Classic BW, who got not only a "Persian Violet" retro but also some spinoffs referencing the style. 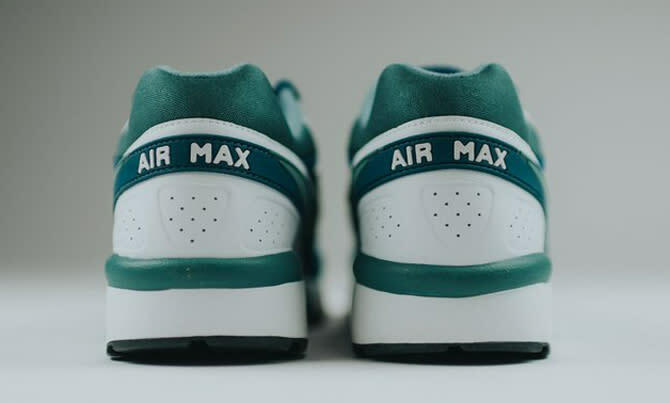 They've also gotten many more colorways that allow them to diversify their rotation, like this "Grey Jade." 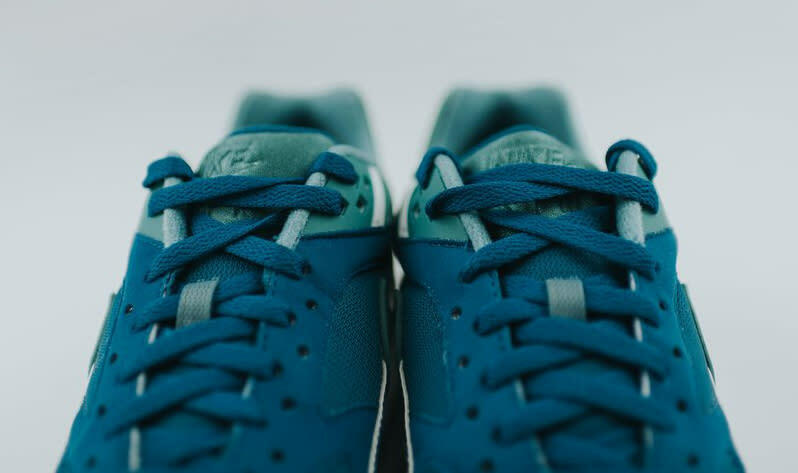 It's tough to imagine colorways other than the most celebrated "Persian Violet" one selling out with any sort of speed, so it's possible this is one of those pairs that readers can wait around on for a sale. 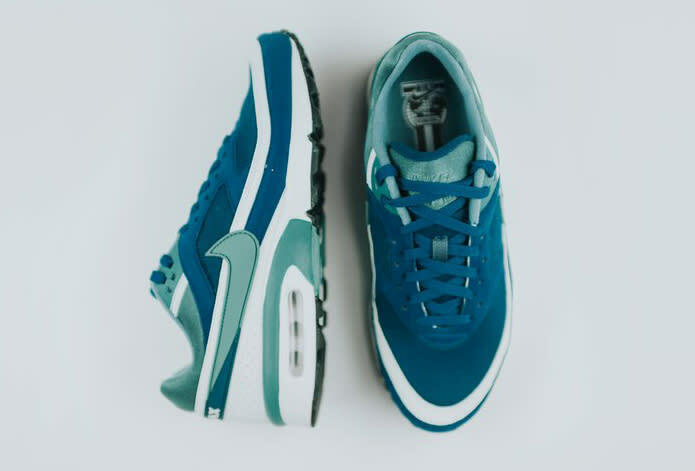 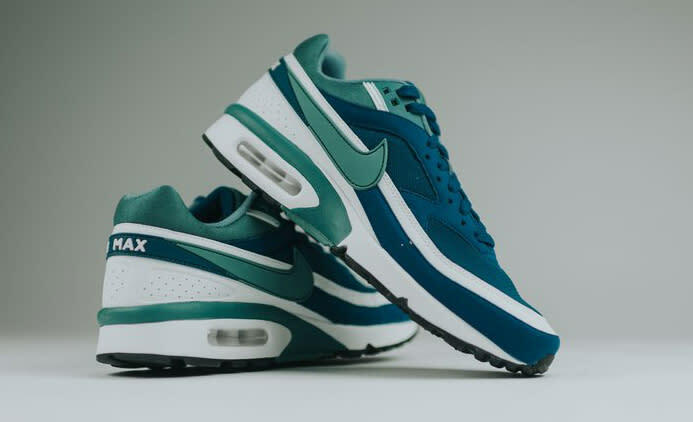 Anyone who doesn't want to wait around to scoop this retro Air Max style can find this pair now at Rock City Kicks.